Have you seen these? A collection of 4 new sculptures were just installed in Northwest Portland. Collectively, they are called “Nepenthes” named and styled after a carnivorous plant. 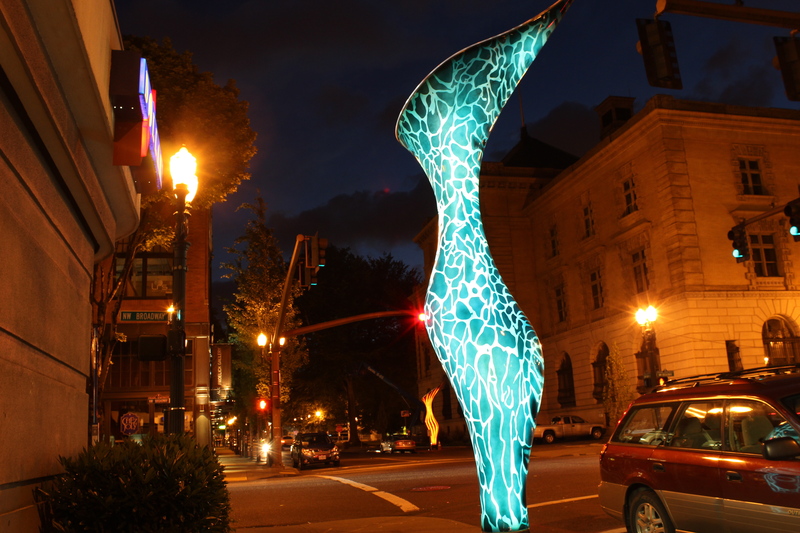 These are the latest addition to the City of Portland’s public art collection. 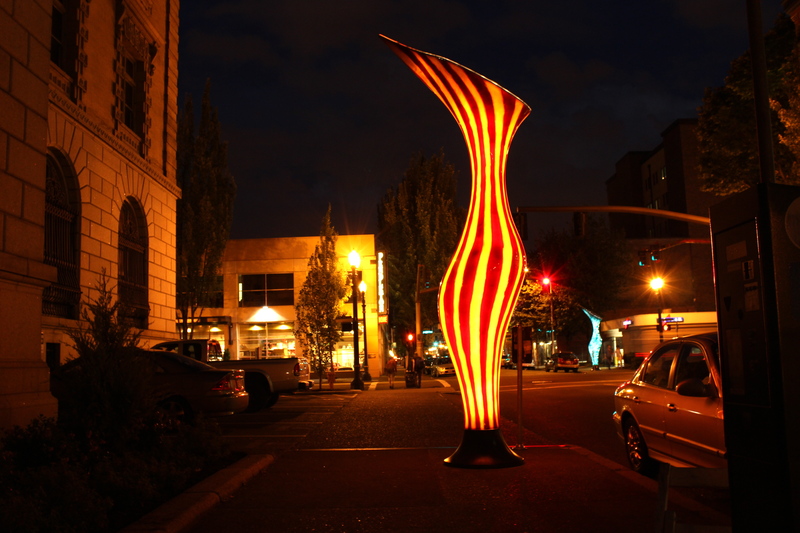 Trimet, the Regional Arts & Culture Council (RACC) and the artist Dan Corson, were all part of project. 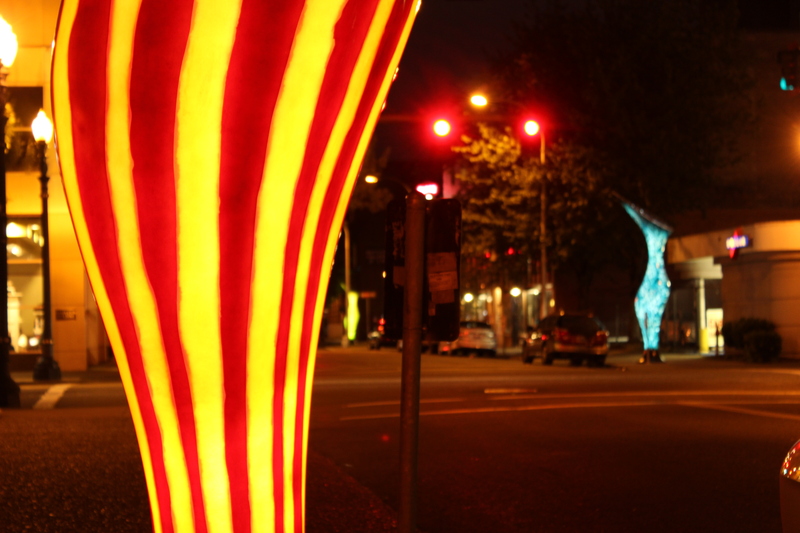 The goal is for the sculptures to create an inviting pathway leading people from the Pearl District into Old Town. 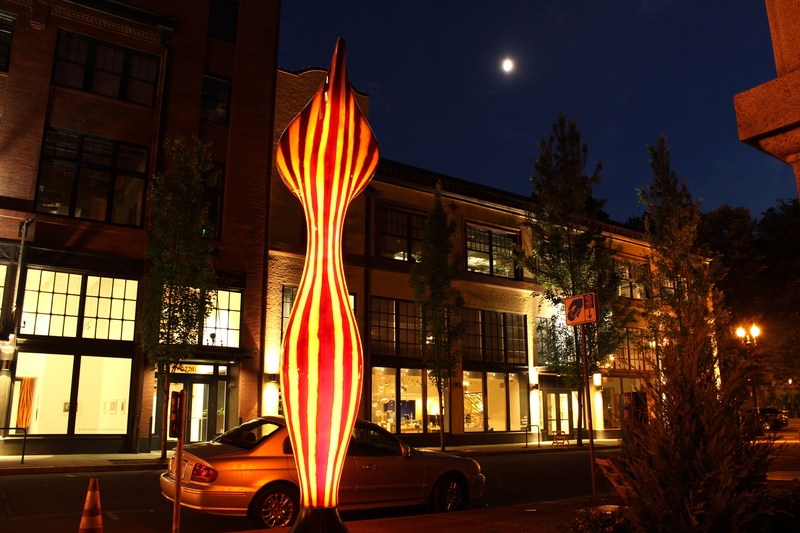 The sculptures are every block on NW Davis Street between 5th Avenue and 8th Avenue. You can easily see them from the Max line that runs past. I wish they had installed about 10 more leading further into Northwest. I think they’re pretty cool. I really love that they are glowing plants. 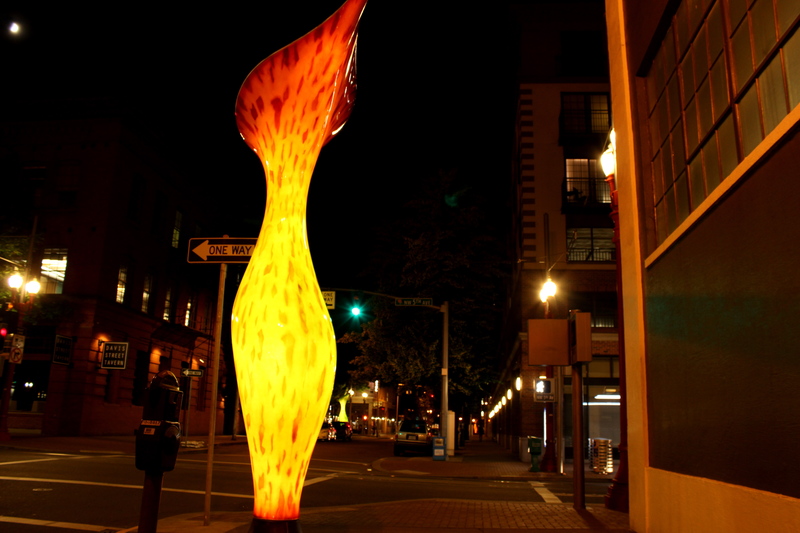 It adds a nice touch to a part of town that can be a little seedy, especially at night. Not only do they look fantastic, but they are powered by solar and run LED lights. Nice work, Portland.